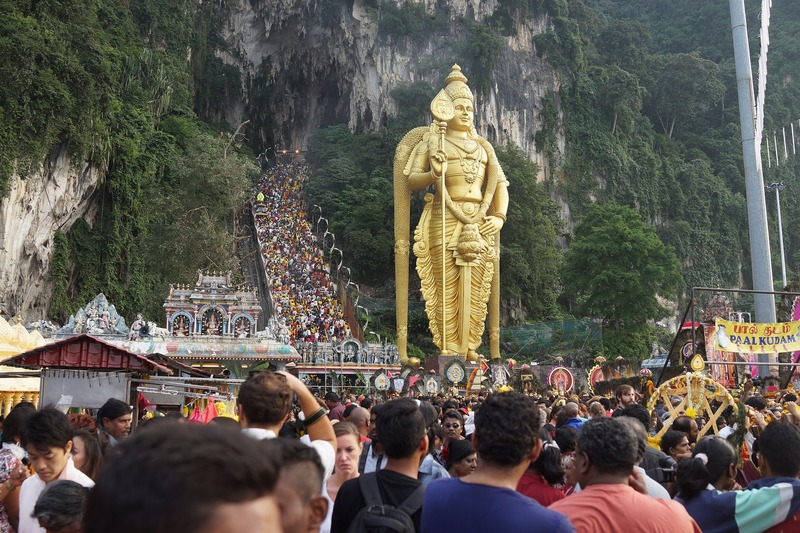 Have you ever been to a Thaipusam procession -- or stumbled upon one on your way out for dinner one fine day -- and wondered what are the colourful things devotees are carrying on their shoulders while marching up the steps of Batu Caves? Those elaborate structures, boys and girls, are called kavadis. For devotees, carrying a kavadi is a significant experience, especially during the Thaipusam festival. You see, the festival of faith, endurance and penance is celebrated to honour Lord Murugan, the god of courage, wealth and wisdom. 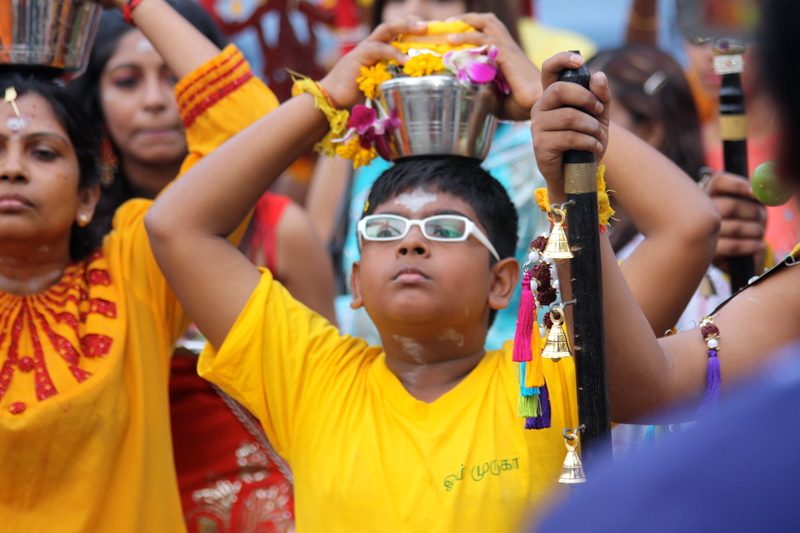 According to Hindu mythology, Thaipusam is celebrated to acknowledge Lord Murugan’s triumph over the evil forces. 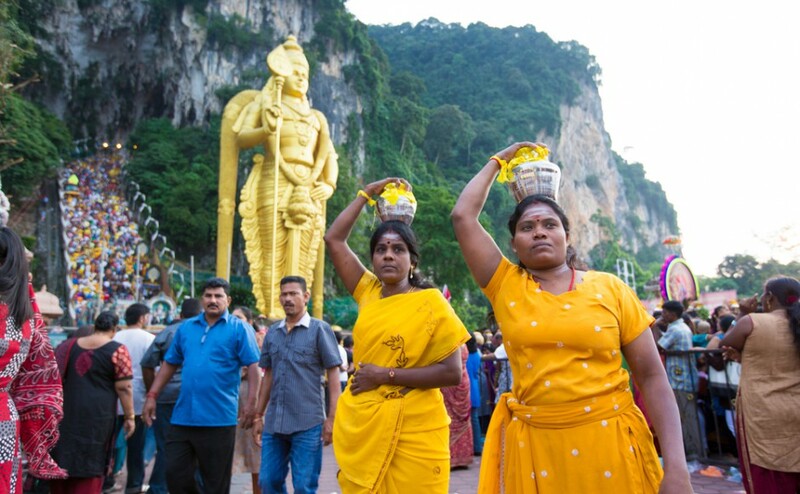 As such, devotees make vows and pledges to Lord Murugan to prove their gratitude to him and pay penances to him on Thaipusam day upon having their wishes granted. One of the most popular way penances are paid is by bearing the kavadi. What exactly is a kavadi? Kavadi is basically a ‘physical burden’ made out of elaborate framework of steel rods, plywood and other decorations. The earliest and simplest form of kavadi consists of a short wooden pole surmounted by a wooden arch. Pictures or statues of Lord Murugan or other deities are fixed onto the arch. 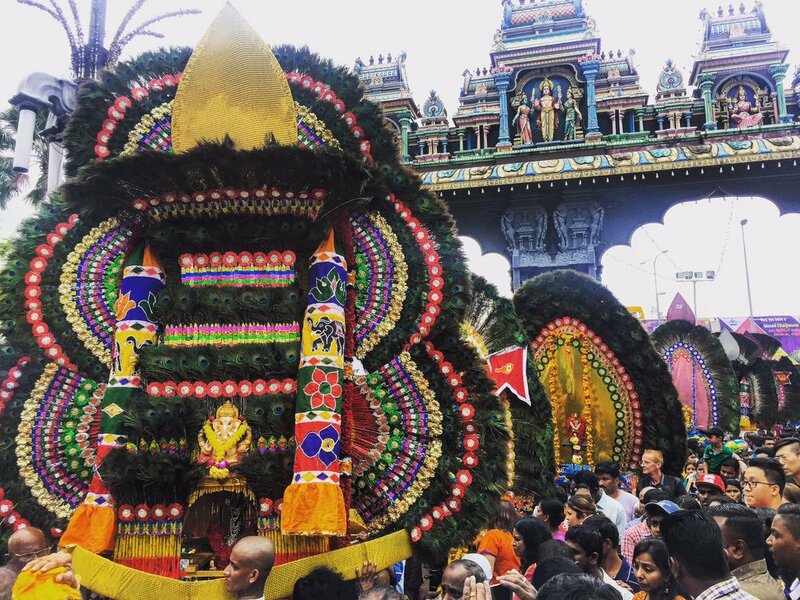 The kavadi is decorated with peacock feathers and a sometimes a small pot of milk is attached to each end of the pole. However, over the years, kavadi evolved into many forms and sizes. So much so that in the year 2009, many kavadi bearers were seen lifting English Premier League (EPL) themed kavadis and even kavadis with politic party’s logos. Such kavadis have since been banned. 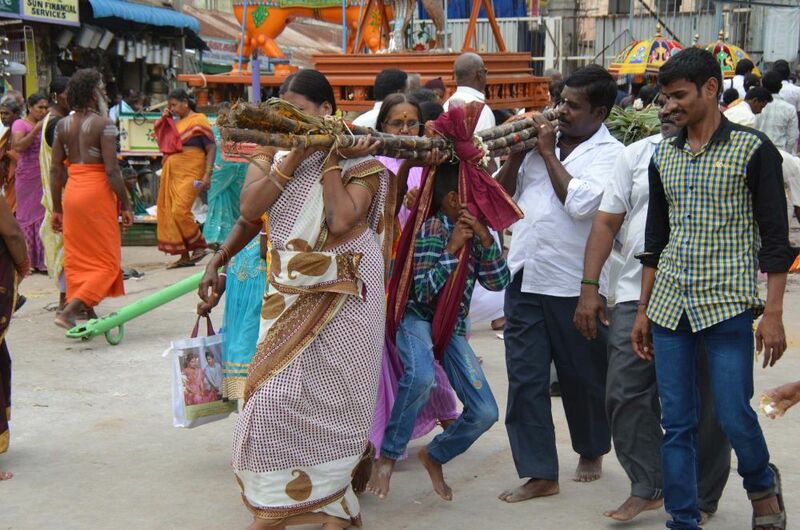 The Paal kavadi is one of the most common kavadis, mostly carried by women devotees. ‘Paal’ means milk in Tamil. 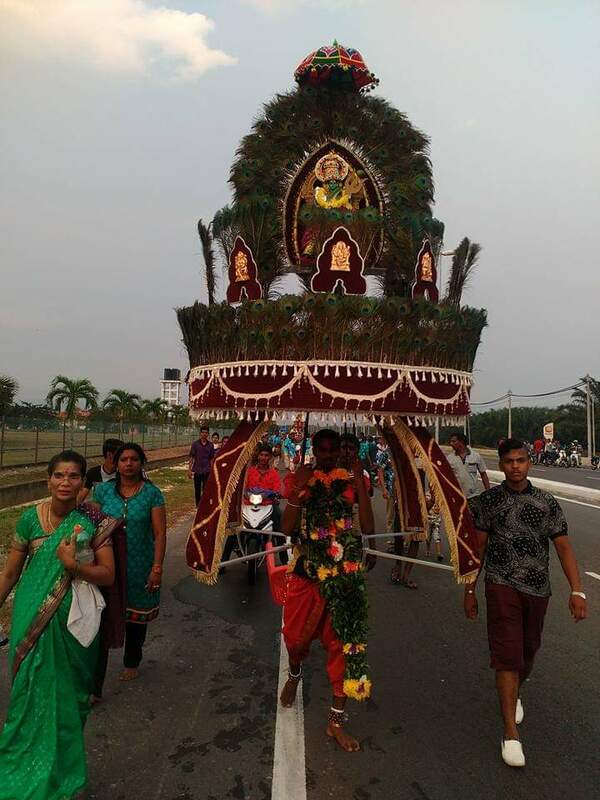 As such, people taking the Paal Kavadi usually carry pots filled with fresh cow’s milk on their shoulders or the top of their heads, while embarking on a long journey to the abode of Lord Murugan. Once the milk reached Lord Murugan, it will be used for prayers. 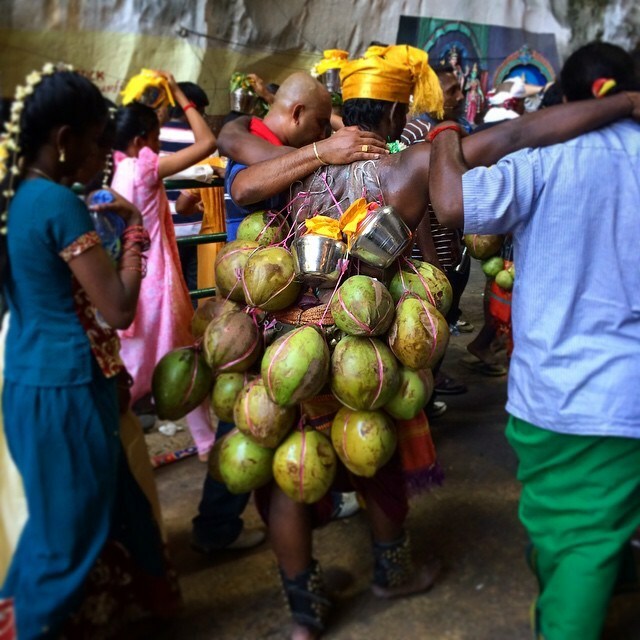 Devotees carry pots filled with sanctified water or rose water on their shoulders or heads while embarking on a long journey to the abode of Lord Murugan. Again, the water will be used for prayers. ‘Karumbu’ means sugarcane in Tamil. This type of kavadi is usually carried by parents who are overjoyed with the presence of a bundle of joy in their lives. The baby will be carried in a bundle held by pole of sugar canes to show gratitude for the ‘sweet’ blessing. ‘Pushpam’ means flowers in Tamil. As such, this type of kavadi is decorated with colorful flowers and is a lovely sight to be seen in a sea of devotees. If you go to a famous place that celebrates Thaipusam like the Batu Caves, you will at least spot one new mayil kavadi every minute. Yes, that is how famous this type of kavadis are. “Mayil’ means peacock in Tamil and peacock is the ‘vehicle’ of Lord Murugan. Most elaborate and large frames of kavadis in various sizes, sometimes as tall as two meters, are usually mayil kavadis. They are filled with peacock feathers and other decorations like Lord Murugan’s status and are astounding and impressive to look at. The large frames of kavadis are usually attached to the devotees’ bodies with hooks and chains, pierced right through their skin. The Alavu Kavadi involves piercing of the tongue or cheek with small spear, often known as the ‘Vel’, Lord Murugan’s weapon. The main concept of this type of kavadi is to prevent the person from speaking, thus preserving his attention, focus and energy towards Lord Muruga. 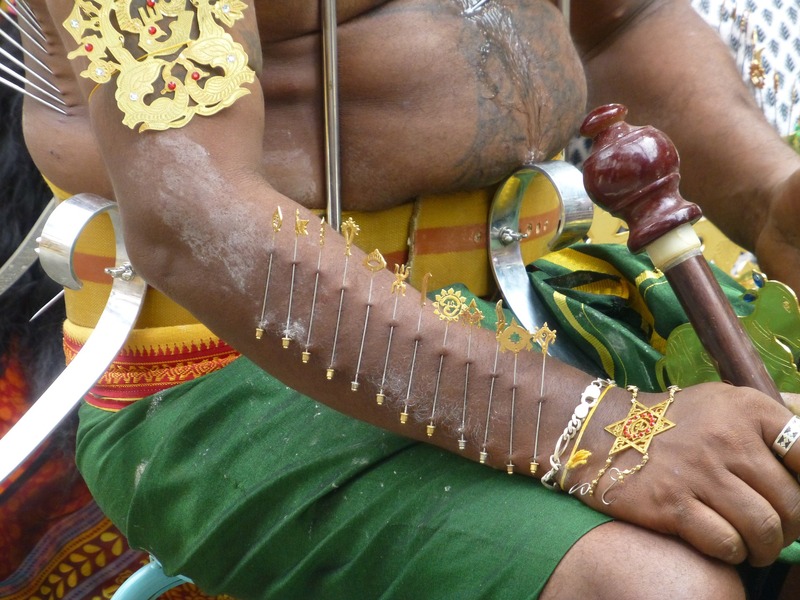 This is a type of sacrifice where small hooks attached to weights are pierced through a devotees skin. The weights are usually small pots of milk or sacred powders like ‘vibuthi’, ‘santhanam’ (sandal) or ‘kumkum’. Some may even use fruits such as apples, oranges, limes or lemons as weight. In some Thaipusam celebrations in Malaysia, even Durians have been used for such kavadis but it has since been banned. 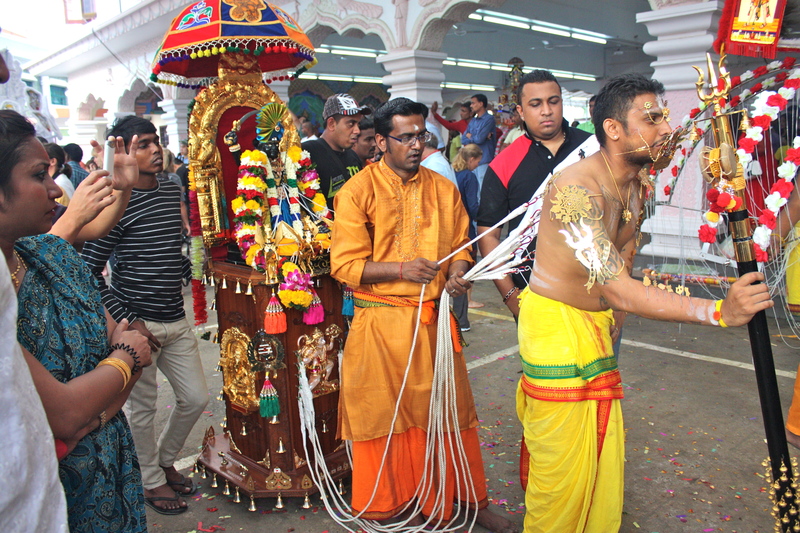 This type of kavadi involves large hooks pierced into the skin of the back of devotees, attached to ropes and pulled by another person walking behind the devotee. 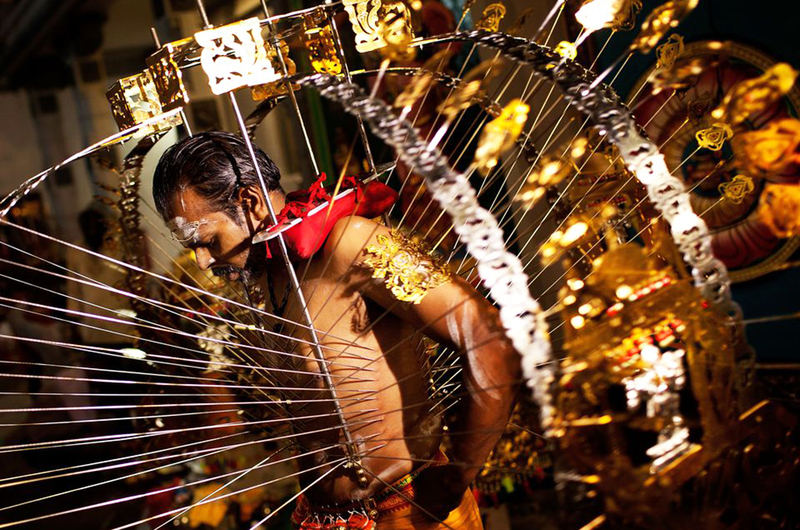 Prior to this, some Thaipusam celebrations saw extreme practices like piercing the hooks onto the back of a devotee and hanging the devotee from a steel or wooden frame with tyres. Other people will push the frame with the devotees hanging, all the way until he reaches Lord Murugan. This type of kavadis, named the ‘flying kavadi’, has since been banned. Carrying a kavadi is no easy feat as the act does not only involve picking it up, fixing it on and walking miles. Intense preparation must be undertaken by the kavadi bearer to train the mind, body and soul to accept the grueling and physically challenging task. 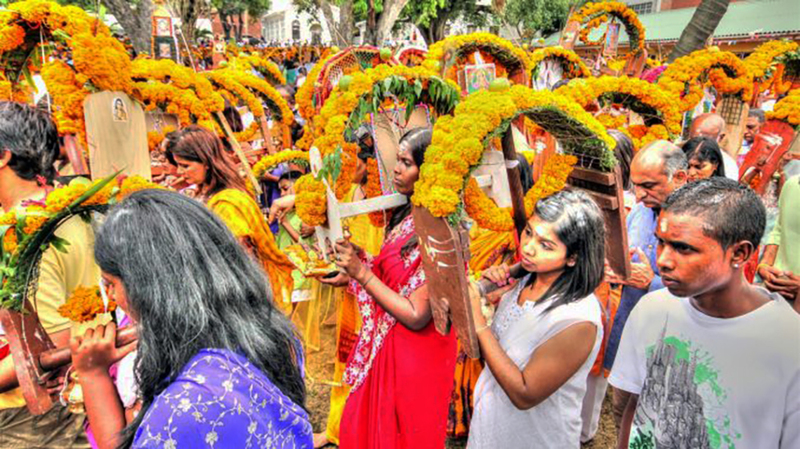 Devotees observe a strict vegetarian diet which excludes all kinds of fish, meat and eggs, at least for 48 days before taking kavadis, usually on Thaipusam Day. Some may event fast extensively, only eating fruits and drinking milk throughout the period. Devotees also practice sexual abstinence during this period. According to Thaipusam guidelines released by the Hindu Sangam in 2016, other preparations include refraining from smoking cigarettes, taking alcohol or any other intoxicants, bathing in only cold water, sleeping on the floor, refraining from shaving or cutting hair and performing special prayers in remembrance of Lord Murugan. 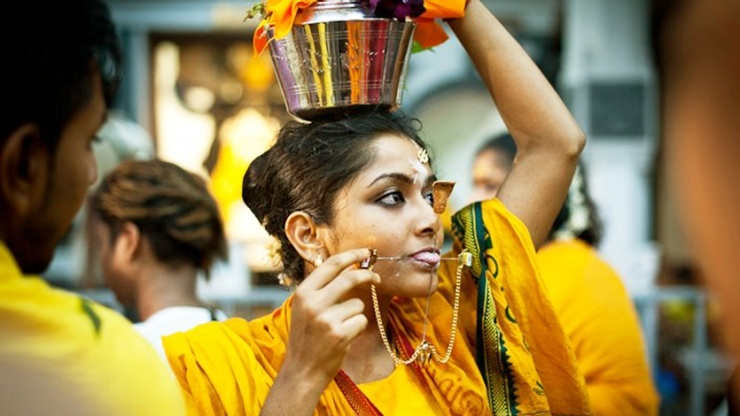 After completing the 48 days, on Thaipusam eve, the ritual becomes stricter. Devotees must maintain a complete fast, and some may also observe vow of silence where they tie a cloth around their mouth to avoid speaking to anyone. After taking a purifying bath, and smearing the sacred ash called ‘vibuthi’ on their forehead ans bodies, the devotees will prepare to begin the challenging task of bearing the kavadi. Saravanan Silvamani, 39, from Kuala Langat, Selangor, first carried the kavadi when he was a mere teenager, but the experience changed him. “I successfully completed my studies in 1998 and wanted to give thanks to the Lord. So, I decided to take kavadi. My friends and I scoured the whole town in search of kavadi. We could not find one anywhere. 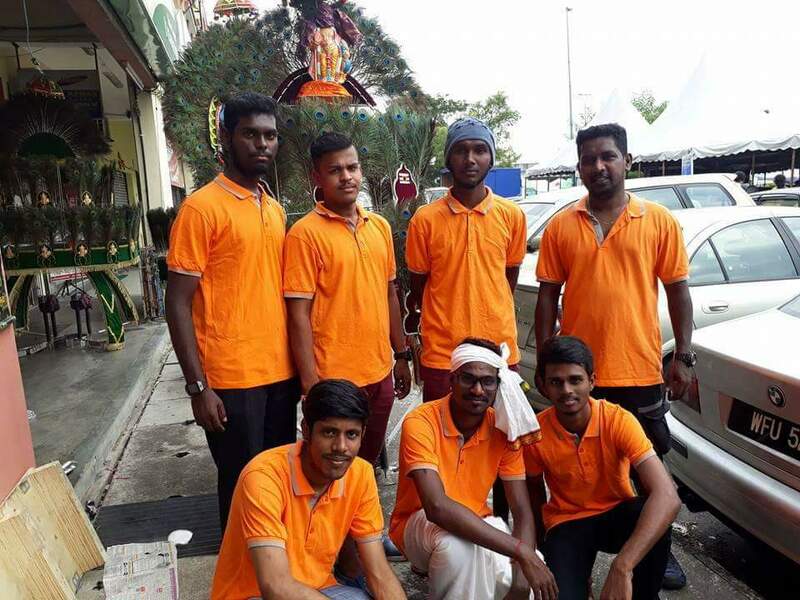 “Finally, we stumbled upon a kavadi rental service and got a kavadi at for RM500. It was considered expensive at that time. “That was when I decided to make my own kavadi for my penance,” he said. Saravanan then went on to make his own kavadi and has been using his self-made metal frames to complete his vows since then. “The heaviest kavadi I took was 30kg. It was a physically challenging task to carry such a large frame of kavadi, walk for about three hours and finally walk on fire coals before reaching the temple to complete my vows. “This grueling task need intense preparation and purification. You can only do it with a strong body and mind,” he said. Saravanan’s kavadis also got attention from his friends and neighbours. He now makes kavadis for others as well because of the demand. 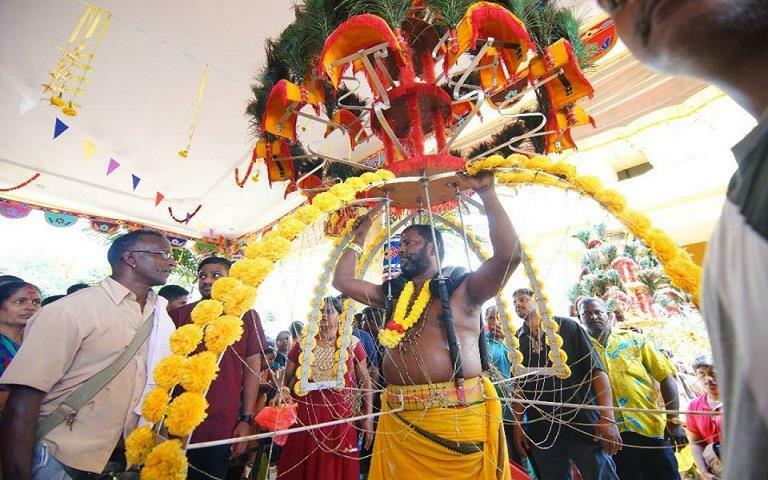 For Tinakaran Sukumaran, 45, he carries a kavadi for Thaipusam every year because of his vow to bear a kavadi for as long as he lives, known as ‘jenma’ kavadi. “I bear large kavadis every year to fulfill my lifelong vow to carry a kavadi. I fast for 48 days, eating only fruits, vegetables and milk to purify my body. 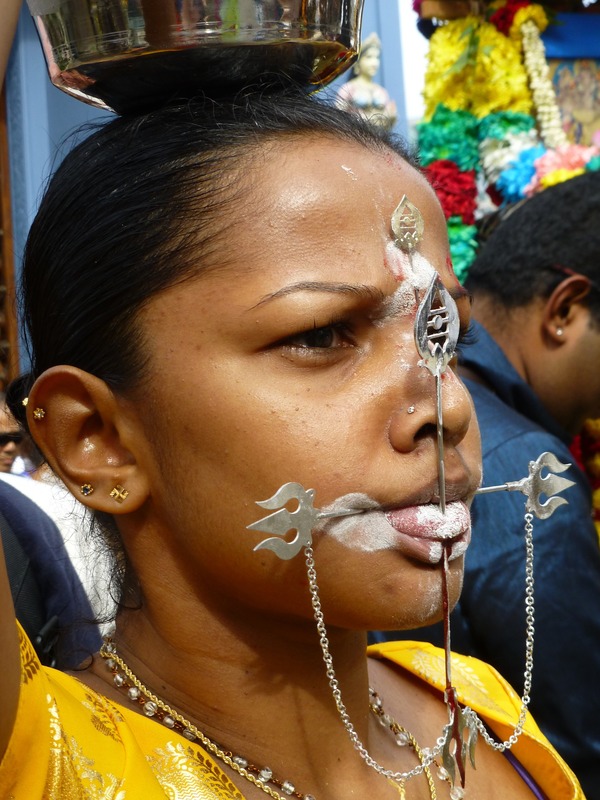 “On Thaipusam Day, I take the kavadi and hooks are pierced into my body as part of my penance. I also will go into a state of trance throughout my journey to walk up the 272 stairs of Batu Caves,” he said. Tinakaran said many people have asked him if its painful to have his body pierced. However, he always tell them that he feels no pain. “I feel no pain. When you surrender your mind to Lord Murugan, one will feel no pain,” he explained.